The Drawing Week, Bath School of Art and Design: 3-7 September - further info! Alex nimmt teil am Tag der offenen Ateliers, Werkstätten und Galerien in Marzahn-Hellersdorf am Sonntag, den 10. Juni 2018 – der Eintritt ist frei. 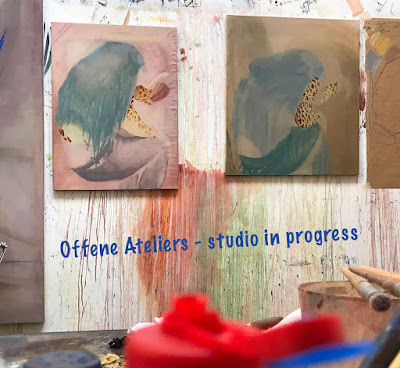 Alex will be taking part in day of open Studios, Workshops and Galleries in Marzahn-Hellersdorf on Sunday 10. June 2018, free entry. Contemplating Colour & Collage - new adult workshops at The Charterhouse, London. 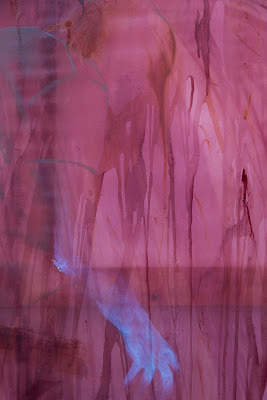 Alex Roberts is part of a team providing art workshops at the nation's living community of Brothers, the Charterhouse. 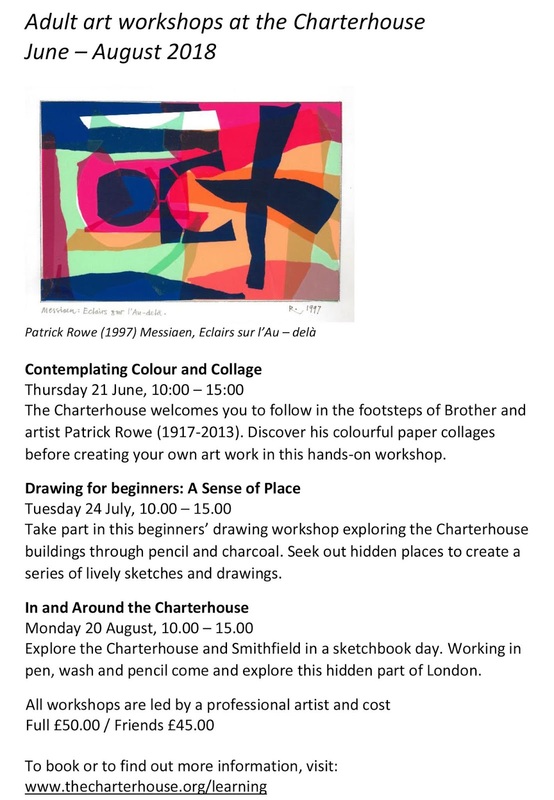 The Charterhouse welcomes you to follow in the footsteps of Patrick Rowe (1917-2013) a professional artist who became a Brother of Charterhouse in 2002. Discover his colourful paper collages before creating your own art work in this hands-on workshop. 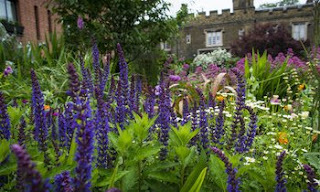 This day long workshop will start with an accompanied tour of the Charterhouse and summer blossoming gardens. Participants will be encouraged to visually forage for personal artefacts and findings that stir their imagination. Following this, there will be a practical period to loosely sketch, play with colour and light, before producing a striking collage. 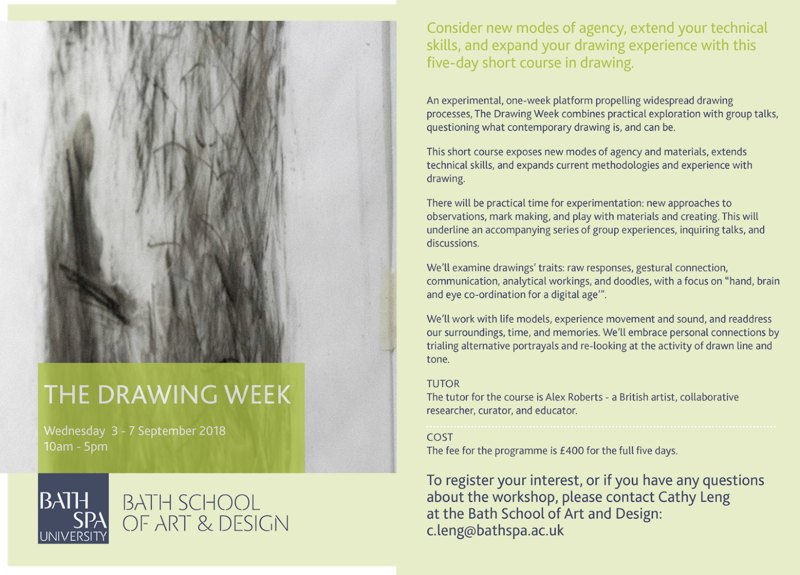 The workshop will make introduce and make of both traditional and experimental collage methods. Your tutor, Alex Roberts, is a British artist and collaborative researcher who curates and educates. Alex lives and works between Berlin and the UK and has a breadth of experience delivering creative workshops to people of all ages and abilities. All art materials provided. Please bring an apron if desired. The Charterhouse has been living the nation’s history since 1348. In that time it has served as a monastery, private mansion, boys school and an almshouse, which it remains to this day. After opening to the public for just over one year, the Charterhouse has achieved a Gold award in Visit England's Small Visitor Attraction of the Year category. A hidden gem in the heart of London, steeped in history, now open to the public to share and enjoy creative activities. Sign up for a workshop to learn and experience more.